There’s a particularly sticky place that comes up in most relationships. It’s the place where your deep desires meet your partner’s fear and resistance – and vice versa. How do you unravel this dynamic, to experience the magic that lies on the other side? That’s what we’re going to cover in today’s episode with Hedy Schleifer. 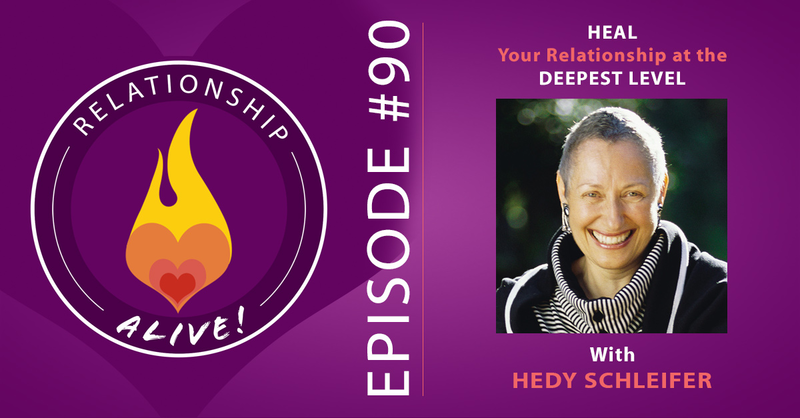 Hedy, the co-creator of Encounter-centered Couples Therapy, is going to describe what she calls “Unraveling the Survival Knot”. 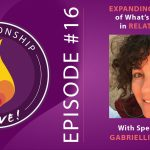 In this process, you get to uncover the gift that lies deep within the core of your relationship. 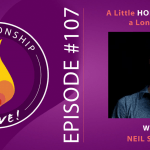 The Survival Knot could seem like an impasse at first, but then it becomes a source of profound connection, growth, understanding, and healing for your relationship. 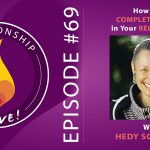 If you are curious to hear our first episode with Hedy Schleifer, you can listen to it here: Ep 69 – How to Be Completely Alive in Your Relationship. It’s not a prerequisite, but in many ways it sets the stage for today’s episode, so make sure you do check it out. Speak the essence: As a host, it is your responsibility to tell the truth. By speaking with raw honesty you will come to the core of what you are inviting the other to visit. 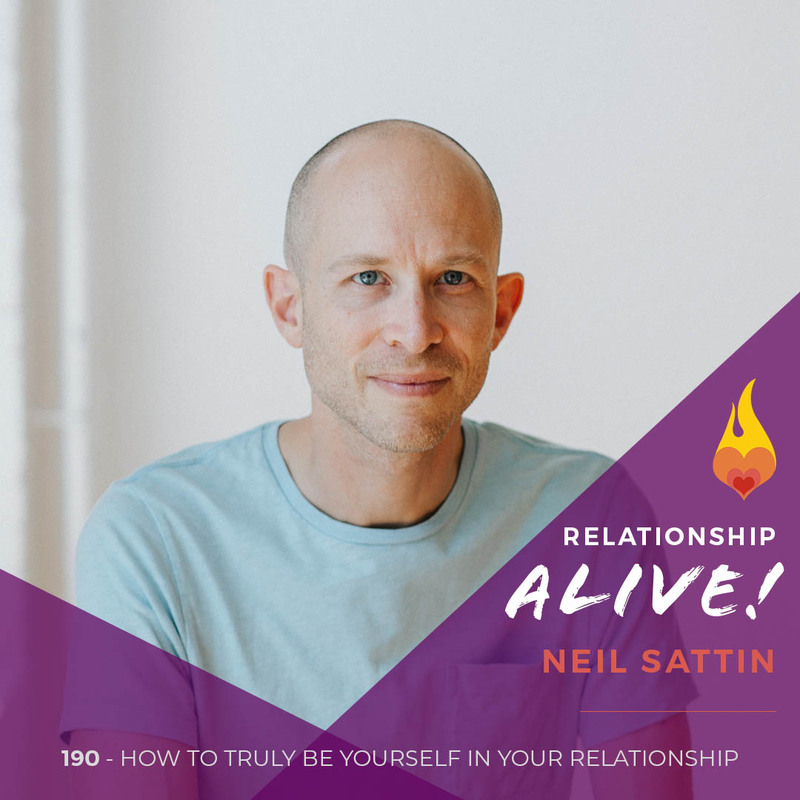 The truth is not complex or very layered – in fact, as a host you should strive to say your truth in 5 words or less. Speak the essence. Words, especially when there are many of them, actually cover the core truth of what we need to communicate, versus help articulate it. This level of truth speaking requires authenticity, vulnerability and transparency. The art of visiting: It is inevitable that you will, sooner or later, become triggered while visiting your partner’s toughest neighborhood. Hone your awareness of the sensation of being pulled out of connection (returning to old patterns of anger, sadness, overwhelm, shutdown, etc) so that you can catch yourself and return to presence. 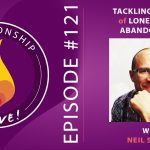 Choosing to return is a powerful act of commitment and love – in fact, the coming back is as healing for our partner to experience as the staying there is. Main Square: Somewhere at the center of our toughest neighborhood, where “I don’t know” is discovered, there is something called the Main Square. This is that most core statement that one voiced has an overall visceral sensation of “this is my truth”. It is a life giving statement that has been needed to be spoken since you were a child – you will feel its potency right away. It is from this core truth that you can begin to rebuild your neighborhood in a more authentic and generative way. Reflect, reflect, reflect: Whether with the support of a therapist, a guide, a spiritual practice, or solo journaling continue to ask the big beautiful questions that help you find your core reason for living and for love. Relationships are difficult regardless, but made excruciatingly difficult when we have lost a sense of our core and highest purpose of being in partnership. 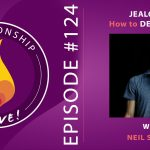 What is it you are most desiring in your relationship? Why are you in partnership in the first place? 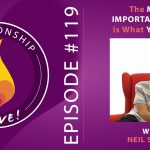 What is it you want from your life and your partnership? Strive to verbalize the answers to these questions – knowing that they will evolve and change over time. Furthermore, as you move through challenges and struggles and growth in your relationship, take time to ask the following 4 questions: What have I learned? What do I know now more but in a deeper way? What has surprised me? What has intrigued me?